Our love and thoughts are with all the innocent victims and families of the Martin Place Sydney siege. We are so deeply saddened and devastated for the loss of two great Australians – Katrina Dawson and Tori Johnson – and we sincerely offer our deepest sympathies to their families and the rest of the victims that are recovering from this morning’s tragic events. Australia is an amazing and multicultural community that has shown so much strength and solidarity amidst the horror hostage siege. We have, and will continue to stand with the hundreds of thousands of Australians that are offering messages of support and love against the anti-Muslim sentiments in the wake of the siege. #IllRideWithYou is a true example of Australian mateship – the act of one man will not break our spirit and strength. Hundreds of Australians have placed flowers and paid their respects at Martin Palace this afternoon. Many florists have been seen to have run out of flowers as tributes pour in with flowers, gifts, and notes. It is truly awe-inspiring to see acts of hate be met with love and tolerance. Our hearts are broken, but we are so proud to be Australian. If you haven’t seen the 120,000+ tweets on Twitter, it will bring a warm smile to your face amidst the tragedy that unfolded on what was one of Australia’s darkest days. 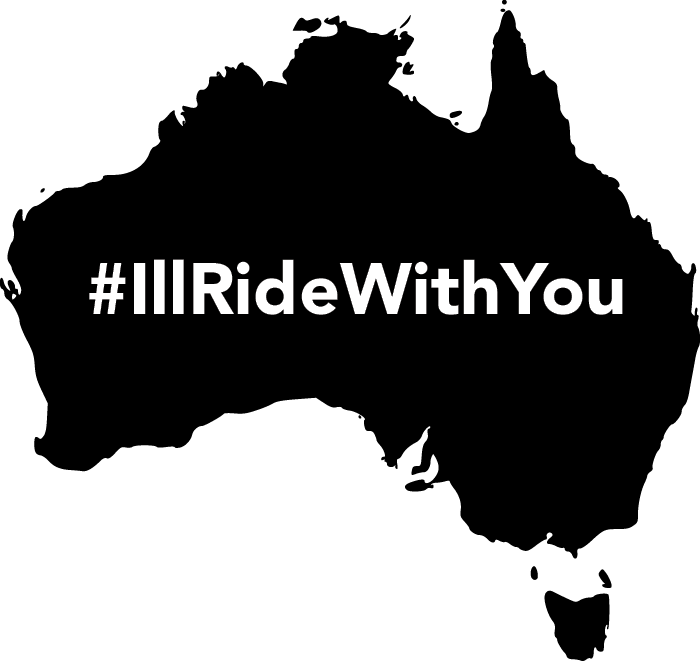 Moving to see #illridewithyou trending in response to Sydney siege. In these moments, can’t let fear overpower human decency.